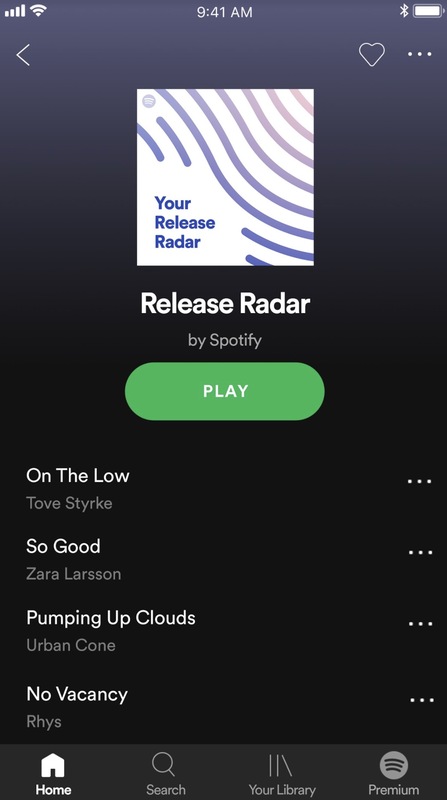 Spotify yesterday (April 24) announced major changes to its ‘free’ mobile tier that will significantly increase the on-demand element of the service. 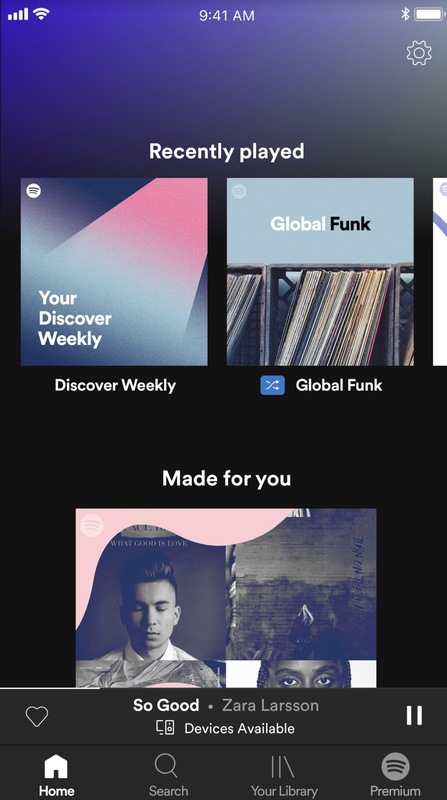 These changes include the ability to play on-demand tracks in 15 key playlists, including Daily Mix, Discover Weekly, Today’s Top Hits and Rap Caviar. In addition, free users will be able to ‘Like’ and ‘Hide’ recommended tracks to help improve recommendations on the platform. Free users are also being given tools to create their own playlists, as well as benefitting from a new ‘Data Saver’ feature, which ‘optimizes the listening experience to use less mobile data when listening to music’. The updates will be rolled out to Spotify’s 90m ‘free’ users across the world over the next few weeks. Yesterday in New York, Spotify hosted a behind-the-scenes press conference for media explaining the thinking behind this new free tier – the first big update to its ad-funded offering since 2014. There were a few interesting comments for the global record industry, and its artists, to chew over. Some of those comments came from Troy Carter, but many of them came from the company’s Chief Product Officer, Gustav Söderström (pictured). Confirming that Spotify had signed “completely new licenses from our label partners” to enable its new free service, Söderström confidently noted that the company now considers itself “the R&D department of the entire music industry”. People have been consuming music for free on the radio for generations. Back in the ’90s, at the peak of the recorded music industry – the ‘heyday’ of this business – free, ad-funded radio effectively drove discovery of new music for people and sent them to the record store to buy the songs they really like. If you think about that – the radio plus record store model – it’s remarkably similar to that of Spotify. [But] today, Spotify is both the radio station and the record store. We both create demand for music streaming, and we monetise it. Unlike radio, though, we actually share the advertising revenue with artists and labels – that’s a big difference from the old model for creators. Today we have more than 90m users listening to our free tier, which is obviously bigger than any single radio station in the world. And an astonishing 60% of everyone who became a Spotify Premium user in 2017 started out as a free user. So we’re actually converting much better for paid music than even the old terrestrial radio model ever did. It’s incredibly efficient. Everybody in the record industry knew intuitively back [in the ’90s] that the best indicator of whether they would go and buy a CD was how many times they heard that song on the radio. Simply put, the more you played, the more you paid. It was true then, and it’s true today – it’s the exact same model. You may ask: Why give so much of the Premium experience away for free? It doesn’t make any sense, does it? It’s because we know that it’s the only way we’re going to be able to achieve our goal of getting billions of fans onto the platform, and getting the entire music industry to the size we think it should be. Make no mistake about what we’re offering here: access to all music, and to the magic of automated, personalised music discovery and playlisting, for free, for the rest of your life. I made a little joke about this at our Investor Day [in March]: ‘Something for nothing is the greatest value proposition in the world.’ And today, we just made it much better. We’re doing this because we know it will help us drive growth – for the industry, and for creators. The better our free experience is, the more likely it is that our free users will become Spotify Premium users. It’s still early days, but we’re already seeing increased engagement on this new [ad-funded] app when we test it. Engagement is the most important leading indicator of growth, which is the leading indicator of subscribers. With no ads and unlimited on-demand listening, Spotify Premium will always be the best value for music fans who want that control. Others in this industry are not as familiar with the freemium model. They may think [it] means creating pain for [users on] the free side of the business – to kind of push them, or drive conversion, to paid. But that’s not how it works at all. Think about it: it wasn’t the really frustrating and bad radio stations that made you buy a CD in the old days; it was the really good ones, who played your favourite music again and again until you just had to go and get that album. At Spotify, music is not a feature or a marketing strategy for something else. It’s what we do. We’re very passionate about it. We know that we’re only going to be successful as a company if the music industry is successful. That’s why we don’t think of ourselves as just the R&D department of Spotify – but actually as the R&D department of the entire music industry. We don’t think the music industry has had an R&D department before – we’re it. That’s our mission. We’re super-happy and proud about our progress in bringing the music industry back to growth again thanks to streaming. But we don’t want to stand and pat ourselves on the back. We think we still have a long way to go. Knowing how important music is in most people’s lives, we believe that the music industry is still way too small. We actually think it’s going to become bigger than it’s ever been before. Compared to the scale that terrestrial radio had – billions of users globally – our free tier at 90m users is still less than a tenth of that potential, and yet it’s already created over 70m paying music subscribers. [We have] 71m paid subscribers out of 157m [total users]; just imagine if we scaled that kind of conversion rate to the size of broadcast radio across the world. The opportunity for the industry is clear. There are more than 7bn people in the world; over 2bn social media users; and in the 65 markets we serve around the world, there are 1.3bn people with smartphones. Music is easily as big as social networking, potentially even bigger, if you ask me. Who doesn’t like music, if you ask them? Yet no single streaming provider has even cracked 100m [subscribers] so far. Our ability to achieve a big opportunity for the music industry – and for Spotify – will be determined by our ability to grow the audience of our free tier.